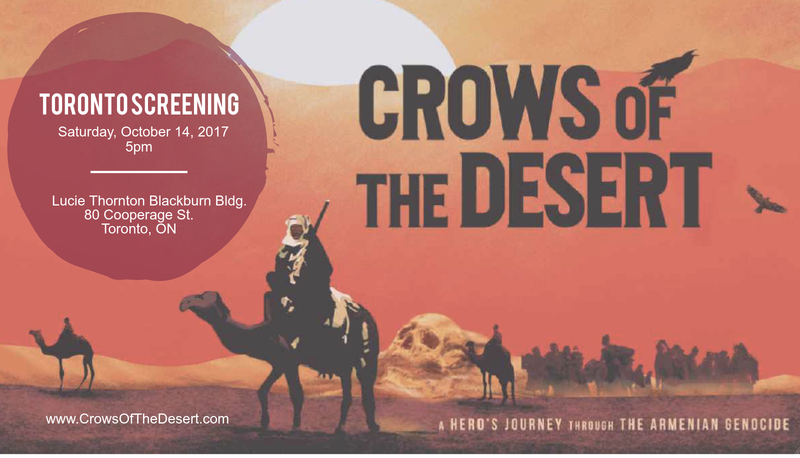 The Zoryan Institute is pleased to announce a screening of the 2016 award-winning documentary “Crows of the Desert: A Hero’s Journey through the Armenian Genocide” in Toronto. This film is a true story of one man’s brave struggle to not only stay alive, but to help save his fellow Armenian survivors from near extinction in the 20th Century’s first genocide. This film is near and dear to the Institute’s heart as it provided research assistance to the film’s producers in pre-production. The Institute’s Stanely Kerr archive collection is also referenced throughout the film. For more information on the Institute’s archival collections, please visit: http://zoryaninstitute.org/our-work/#archiving.